It’s ok to be underqualified. 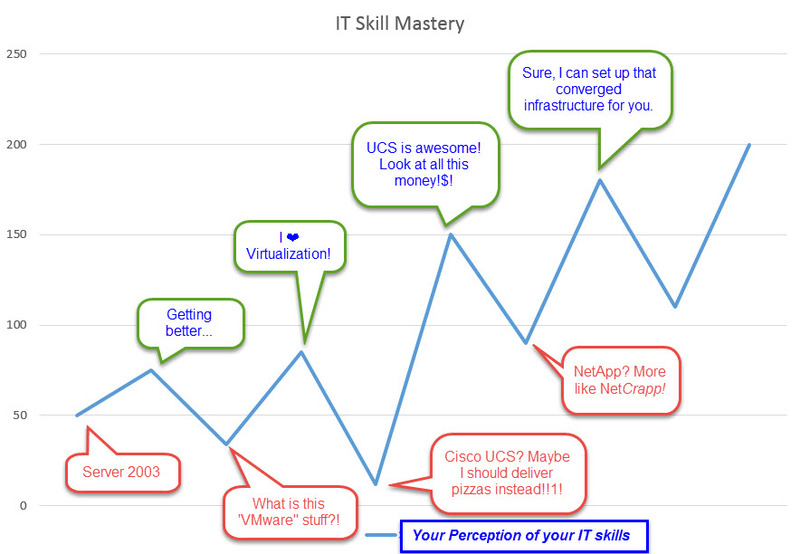 We all have to get used to the idea that we are not going to walk into any IT opportunity and be 100% qualified. Pretty much ever. This applies (of course) from junior-level people all the way to very experienced folks. Even senior IT workers don’t know all of the platforms that they will work on. Being underqualified can be an advantage. Here’s how. Technology just moves too fast. I could talk about Moore’s law, etc. here, but we all know that IT moves as a frenetic pace. It’s the original Fast and Furious. I’m VCP5-DCV certified and my test was on vSphere 5.5. That software was released nearly 3 years ago. IT is not like being a historian- where your knowledge grows continuously. As soon as you master something, a new thing is going to come and replace it. You can never be done. And never being done means you won’t be 100% qualified. When new tech comes out, it’s natural to feel a little challenged by it. That’s your signal to dig in and learn. Underqualified means you can learn. 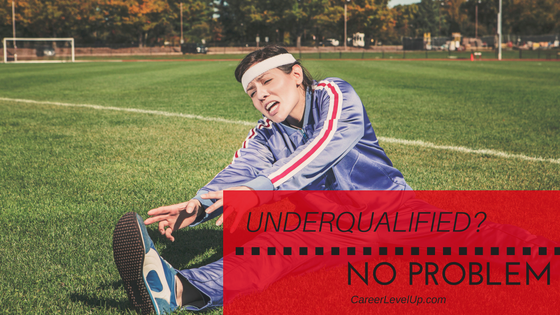 Do you feel underqualified? Good! That puts you in a position to learn. Oops! Did I forget to mention that learning is uncomfortable? I did, didn’t I? It IS uncomfortable. When you learn, you have to admit that you don’t know something. Not knowing something is not the same as lack of intelligence. It’s simply ignorance. Ignorance is not a crime and it’s not painful- but it does put you in a position to learn. If you are learning, you are growing. So embrace it. OK, that’s a bit of a dramatization. But you get the idea. When you go for something new, you can’t know it all yet. You can’t control the IT world around you, but you can control how you respond to it. Is this person fun to be around? Will the team like this person? Will end users like this person? Are they a fit for the company’s culture? Is this person flexible and hungry to learn? I used to think that be likable was a gift- you either have it or you don’t. But I was wrong. According to Dr. Carol Dweck, author of Mindset: The New Psychology of Success (which I highly recommend, BTW), most traits are not fixed, but can be developed. Personality and perspective are no different. Now, I believe those who are not likable can be. It’s something you have to work on, but you will not believe the difference it will make in your life, especially in your IT career. Must know Quickbooks 2006, vSphere 7, AutoCad, electrical and plumbing. Position will be the architect and implement all projects single-handedly. Ideal candidate will have 20 years of advanced Hadoop implementation. They just lost some person who’d been there 5 years and knew their specific systems well. They would prefer, as I’m sure you would, to have a person who can hit the ground running and not need any training. You and I both know that person is in denial. A good rule of thumb is that if you have 75% of the skills listed, go ahead and apply anyway. If you’ve got the job, they like you. Don’t worry about showing off (like that ever goes well) or trying to prove yourself. Dig in and learn. Pipe up and ask questions about things you don’t get. When it comes to IT, there are principles and best practices. Fine. But in real IT shops, things are rarely configured to best practices anyway. They will show you what they want you to do. Use your training and Google when you don’t know something. You’ve got this. What is a time that you landed a gig where you were in over your head? Let me know in the comments below!